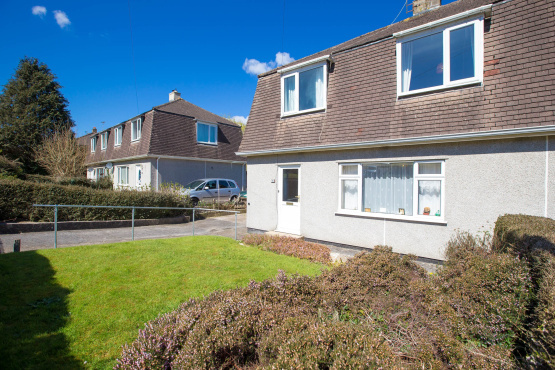 5 Lower Collapark in Totnes is a semi-detached house offering fantastic potential as a family home waiting to be modernised, on a generous plot with ample parking together with spacious front and rear gardens. The property comprises a spacious hallway, sitting room with fitted gas fire (potential to install a wood burner subject to further inspection) and kitchen with adjacent dining area and views overlooking the countryside and town. To the first floor you have 3 double bedrooms and a family bathroom. To the outside of the property there are generous gardens to the front and rear with a garden shed and hard standing/parking for two cars, together with on road parking (subject to permit requirements). The mainline train station, secondary school (KEVICS) and town centre are within minutes of the property together with good access to road links for the A38, Torbay and South Hams.